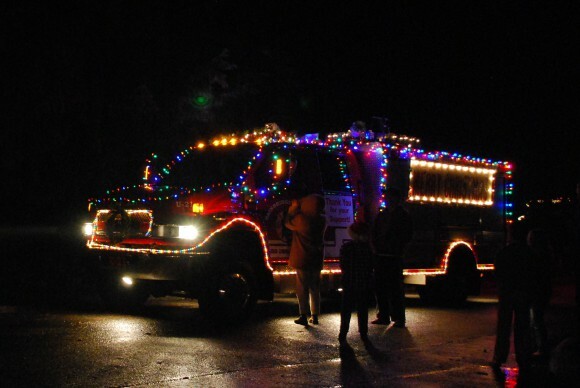 2012 Musical Fire Truck on Bainbridge Island starts December 11th. The Bainbridge Island Musical Fire Truck is getting into gear once again – this year it starts on December 11th and spreads musical joy around the island until Christmas Eve. 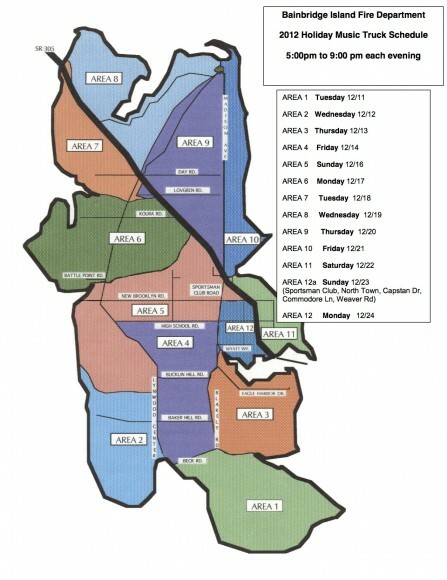 Find your neighborhood on the map below (click map for larger version). CLICK IMAGE FOR A LARGER VERSION. Bainbridge Island Christmas Truck Route 2012. All roads are not listed. Look and listen for the music truck in your neighborhood between the hours of 5:00 to 9:00 pm.